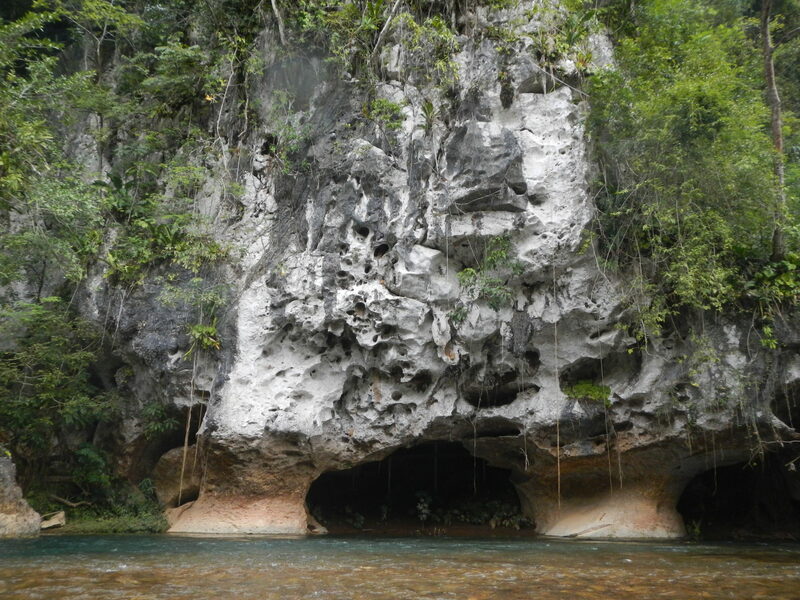 On our trip to the Cayes of Belize, we came across a cave tubing Belize trip. We booked a custom tour out of a small shop near the lazy lizard on Caye Caulker. The tour took us on our choice of Mayan Ruins and then cave tubing afterward. The trip was a little pricey but I think it was worthwhile. The way this tour was operated was customized compared to a traditional “canned” tour. We hopped on the ferry from San Pedro, Ambergris Caye headed back to the mainland Belize ready for our adventure! We were greeted at the Belize City Ferry Terminal by a Belizean Woman with her mid-90’s Ford Explorer. Anticipating a van with a few other tourists it seemed a bit strange. Once we got past our expectations we had a nice day. She was well informed and we were the only two on the tour. Being a private day trip made the price of the trip feel more worth it. Our tour included our driver who also doubled as our tour guide. She paid our admission to the ruins and give us a private tour of the ruins. We saw many groups with 20 plus people for one guide. We were able to go at our speed and enjoy our day at the Mayan ruins. You can book this private tour that would allow such stops at your pace. In order to get the best prices and ensure your dates we suggest just booking online with Viator, no one likes to go tour shopping while on vacation. After the Mayan Ruins, we headed off to caves for some Belize cave tubing. On the way, we had lunch at a local roadside restaurant (lunch was included, bonus!). We had brown stew chicken and rice. It was pretty tasty, we even splurged on dessert. We noticed people were stopping in just to purchase the bread pudding & cassava for about 40 cents a piece. So of course, got a snack for the car. Before cave tubing starts there is a short walk through the jungle and as we are about halfway through Hannah, being the nature lover she is, asks “are there any snakes around here?” It couldn’t have been more than 5 steps later, a bright colorful snake comes directly across our path, and Hannah points the snake out and asks if it is poisonous. The guide said “Don’t worry, that’s not the bad one”, it was red, yellow and black striped. After researching at home it does depend on the order of the stripes if is dangerous or not. In the moment I wasn’t looking that close, to me bright colors meant bad! The water was a cool blue-green color from the limestone in the water. After the initial plunge, our guide took us through limestone several caves with a few stop offs on to “beaches” within the caves. Some of the caves opened up into small spurts of jungle and light flooded in from above. The pictures don’t do it justice but some spots looked downright heavenly. 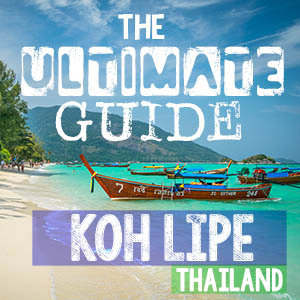 The trip was a bit on the pricey side but we enjoyed it and would recommend it to anyone, not on a super tight budget. We would have gotten a better deal if we would have booked online here with Viator. The cheapest cave tubing in Belize tour is only $49, you can book here. After a great day full of adventures we boarded the ferry for the 90-minute ride back to San Pedro. We would have never guessed that this boat ride was about to change our lives. We struck up a conversation with a couple from Kansas City. They had just gotten in and they asked us about San Pedro and were to stay/etc. They had no reservations and were just going to find a place once they arrived. This was a new concept for us. We continued to chat, and they told us Belize was their first stop on their RTW trip (round the world). At the time, we didn’t even know what an RTW trip was or that something like that was even remotely possible. They had sold everything they owned and quit their jobs and are going to be traveling the world until they run out of money. This sounded amazing to us! 2 days later we ran into the couple again, and I told this couple we would embark on our own RTW trip next year. We never thought it would be possible, but it is and we are doing it! We started our trip in Belize where the idea was born, we spent the first two weeks exploring the best beaches in Belize before taking on the rest of the world. Do you remember the cost of the day trip? Sorry about, I just updated the article to include a few places to book online. We highly suggest spending a few more dollars and having the private tour like we did. Safe travels to Belize! So adventurous, Hannah and Adam! You captured and experienced some great spots! Belize seems breathtaking. Belize is amazing tons of things to do in Belize and adventures to be had. Have you made your way to Belize yet?